We’ve all been there. You have all the best intentions for your new hobby and go out and invest in tons of gear, only to have it gather dust once your initial enthusiasm wears off. Remember that home StairMaster that seemed totally practical when you made the late-night Amazon order? When it comes to camping, at least, it does not have to be like this. 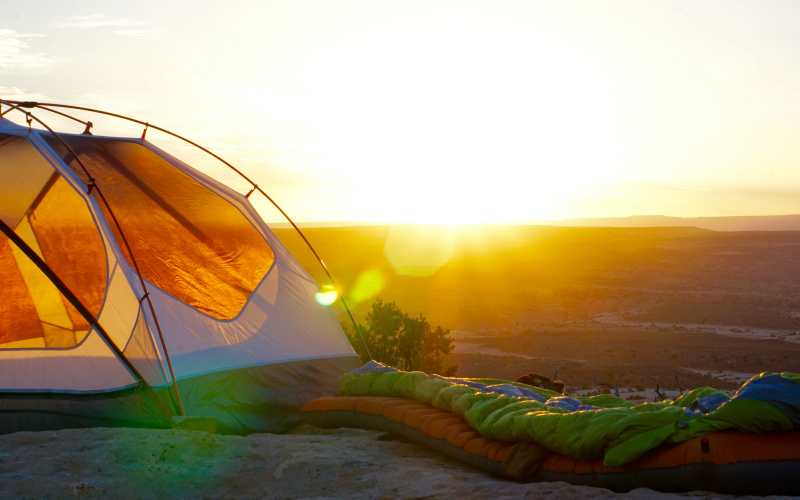 No longer are you stuck trooping to the local REI to plop down cash on tent, stove, sleeping bag, and the whole kit and kaboodle, just for one weekend of sleeping under the stars. Instead, three local startups–Joymode, Coozie, and Happier Camper–are setting you up with just what you need, when you need it, without the hassle of owning it yourself. Coozie specializes in premium outdoor and sports gear rentals, allowing you to use items that might cost hundreds of dollars in a camping store for just a fraction of the cost. You can select exactly the items you want to build the perfect kit for your needs. They have the basics of tents, cots, lanterns, and the like, and also a wide array of specialty gear for climbing, mountain biking, or even surfing. You pay a one-time rental fee that covers up to seven days of use (longer rentals are possible, but require custom arrangements) plus insurance, and delivery and pick-up service. Joymode’s slogan is “Do more, own less,” which in addition to being, like, super Zen, is also a practical matter in a world where people live in smaller homes, move frequently, and increasingly spend their money on the experience and sharing economy, rather than on buying items. The company’s offerings cover all kinds of things you might want only on occasion, from camping gear to popcorn machines to expensive vacuum cleaners, and the system works by charging a subscription fee, and then a smaller per-rental charge that covers two days of use, plus delivery and pick-up. For camping, they offer several bundle options, from a basic kit at $35 to an elaborate glamping set-up for $150, including specialized options for music festivals and backpackers. Not all camping has to be in tents. If you’re headed somewhere with less-forgiving elements, or just prefer the security of having a little more structure around you, Happier Camper has a solution. The rental shop offers a fleet of teeny, mid-century styled trailers, available for $125 per night, with the option to add generators if you really like the wilderness to come with mod-cons. Our favorite option is a restored 1972 Scamp Ultra-Light Travel Trailer in a perfectly retro shade of sea foam green. To hit the road, your vehicle will need to be able to tow about 1,500 pounds, but that’s within the margin of what a Toyota Prius can handle, so don’t assume you’ll need a heavy-duty truck.